Enrollment has begun in a Phase 1 clinical trial to test the safety of a new investigational drug designed to treat malaria, as well as its effect on the human body. The first-in-human study is sponsored by the National Institute of Allergy and Infectious Diseases (NIAID), part of the National Institutes of Health (NIH), and is being conducted at the Duke University School of Medicine in Durham, North Carolina. In 2016, an estimated 216 million new malaria cases and 445,000 deaths occurred, primarily among children living in sub-Saharan Africa, according to the World Health Organization (WHO). Although several approved treatments for the mosquito-borne disease exist, increasing drug resistance among the malaria-causing parasites is diminishing their effectiveness. "The increasing problem of drug resistance demands that we continue to find new and effective treatment options for malaria infection," said NIAID Director Anthony S. Fauci, M.D. The new study, led by principal investigator Michael Cohen-Wolkowiez, M.D., Ph.D., professor of pediatrics at the Duke Clinical Research Institute, is testing an investigational drug called DM1157, invented at Portland State University and developed by DesignMedix, both based in Portland, Oregon. The novel treatment is a modified form of chloroquine, an established antimalarial drug that kills malaria parasites once they have infected human red blood cells. 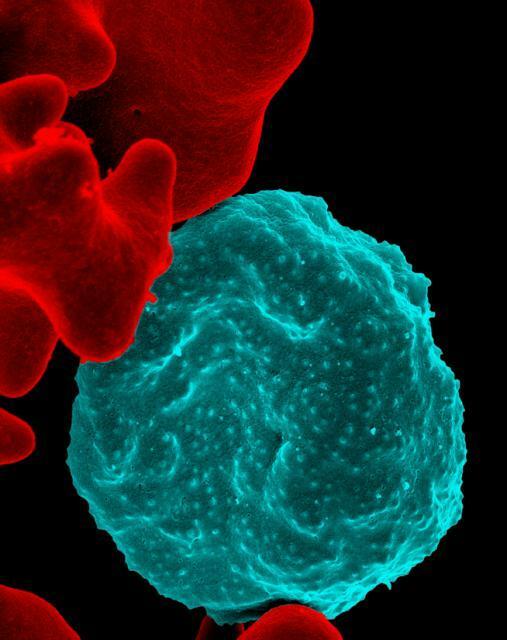 Many strains of Plasmodium falciparum parasites, which cause the deadliest form of malaria, are now resistant to chloroquine, and the parasites can expel the drug before it can affect them. Like chloroquine, DM1157 interferes with the parasite's metabolism, but it also inhibits the parasite's ability to expel the drug. Results of earlier tests in animals suggest that DM1157 could have the same safety and efficacy as chloroquine. The study will enroll up to 104 healthy volunteers between the ages of 18 and 45 years old. Volunteers will be randomly assigned to one of three groups: the first group (56 volunteers) will fast overnight and then receive either a single dose of the experimental drug at one of seven dosage levels (9 milligrams [mg] through 900 mg) or a placebo. The second group (40 volunteers) will also fast overnight and then receive either one dose containing 150, 300, 600, or 900 mg of DM1157, or a placebo. The volunteers in the second group will repeat this routine for two more consecutive days. The third group (8 volunteers) will be given either a single 300-mg dose of the investigational drug or placebo after eating a high-fat meal to determine whether the investigational drug has different effects when taken with food. Volunteers in each of the three groups will be monitored for adverse effects throughout the trial and will provide blood samples for at least five days after their last dose. The study is expected to be completed by June 2019. For more information about this study, visit ClinicalTrials.gov and search identifier NCT03490162.